​singing, dancing, ecstatic force of nature!" I am playing the role of AP in Nora Lise Ulrey's site-specific production of COLUMBINUS for Random Acts! The cast also includes Alexandra Alontaga as Perfect, Ben F. Locke as Jock, Jimbo Pestano as Rebel and Savanna Rae as Faith. Every ticket sold supports The Brady Campaign to End Gun Violence! More info here. Our holiday hit returns for its FOURTH YEAR! Pride Films and Plays presents Barney the Elf, featuring the return of Roy Samra as Barney, Dixie Lynn Cartwright as Zooey, Maggie Cain as Mrs. Claus and Jaron Bellar as Junior! Click here for more. Update: Roy Samra will host #SafeSpace on 12/28 - info here! "Barney the Elf will make you laugh! I am producing this benefit for the Matthew Shepard Foundation with Random Acts in conjuction with About Face Youth Theatre, hosted by Pride Films & Plays! Jason Gerace directs. More info & tickets. I am returning to Redtwist Theatre to play Trent in Steve Scott's production of Six Degrees of Separation. More info. The Bone House, which I co-directed last fall with Sam Hess, has been nominated for "Best Special Event" at the 2018 Chicago Theatre Awards! Vote here to support the production and many other artists and productions across the city. #SafeSpace launched in March 2018 and has since featured 49 diverse artists while raising funds for Planned Parenthood, Trans Lifeline, Project Fierce Chicago & The Night Ministry. Hosts include Amazon's Patriot's Sadieh Rifai, Chicago Fire's Robyn Coffin, OUT CHICAGO's Scott Duff and more. Info here! I am so excited to reteam with the first director I ever worked with in Chicago, Scott Weinstein, for Frost/Nixon at Redtwist Theater. This team is stellar. Update: We've extended through June 3! Strangest Things! The Musical has been nominated for 3 BroadwayWorld Chicago Awards! Barney the Elf (2016) has been nominated for 3 BroadwayWorld Chicago Awards! 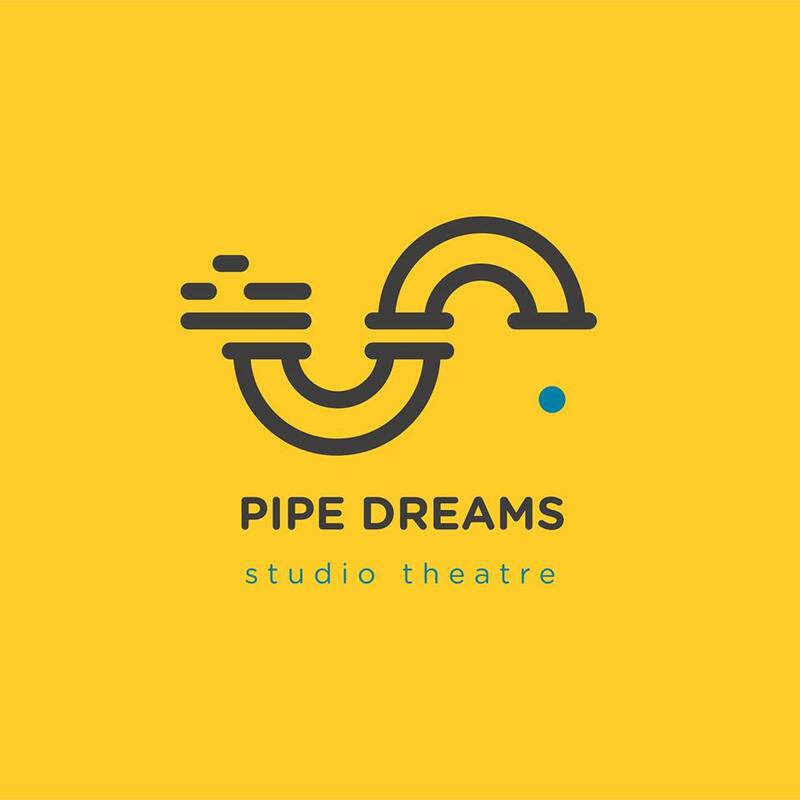 Pipe Dreams Studio Theatre at Millikin University will present the collegiate premiere of Strangest Things! The Musical this April. More info soon! 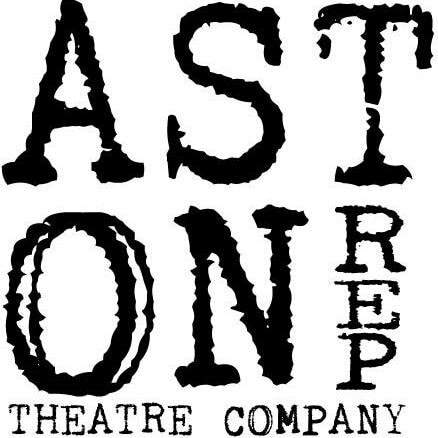 ​I'm so excited to perform in AstonRep's 9th annual Writer's Series! Info here. I'm understudying the role of Mark in Theo Ubique's production of ALTAR BOYZ at the No Exit Cafe. The production is directed by Courtney Crouse, with music direction by Jeremy Ramey and choreography by Sawyer Smith! I'll be playing Chorus 2 in this hilarious comedy from The Comrades! Sam Hess and I co-direct the US Premiere featuring Erik Burke, Savanna Rae and DQ King in their Random Acts debuts. Tommy Rivera-Vega will direct a workshop of my brand new play LION, which is inspired by real-life events in the Chicago theatre community. The cast features Sean Gallagher, Carin Silkaitis, Nikkia Tyler and Megan Gill. Random Acts presents a one-night-only reading of Slack by Caitlin Turnage, featuring associates Tommy Rivera-Vega, Ben F. Locke and Shannon Webber. It's totally free (with a $5 suggested donation) - join us at Galway Arms with a drink and see a brand new work! More info here. Town and Country Players in Buckingham, Pennsylvania present Other Letters by Carin Silkaitis and myself. It has been so wonderful to revisit the characters of Tom and Charlie with Carin as we prepped the script for the new production. EXTENDED AGAIN - NOW THROUGH 7.8! "truly one of the strangest things you will see." ​"so many 80's hits are sung fantastically by this talented cast." ​"one of the best shows in Chicago"
Random Acts' hit sketch revue will return for ONE NIGHT ONLY at Chicago Sketchfest! We perform Thursday, Jan. 12th at 8pm. Featuring writing by Emily Schmidt and the cast, including Bryan Renaud, Ben F. Locke, Lucy Chmielewski, Garrett Lutz, Colleen O'Connor and Colleen DeRosa. More info. ​"Barney is back...and hopefully here to stay." "Recommended! A fun-filled, humorous spoof." ​ This brand new revue features the talents of Colleen DeRosa, Ben F. Locke, Garrett Lutz, Colleen O'Connor, and Random Acts company members Ayssette Muñoz, Bryan Renaud, Tommy Rivera-Vega, and Becca Russo. Written by Emily Schmidt and the cast! ​Random Acts presents a staged reading of my first play, directed by Carin SIlkaitis & featuring Robyn Coffin, Ayssette Muñoz, Darren Patin, Tommy Rivera-Vega, Julane Sullivan, Jake Szczepaniak, Shannon Webber, and Philip Winston. I'm playing the role of Jinx in Two Pigs Productions' Forever Plaid, running this summer in Raton, NM! A harmony group returns to Earth after 40 years to perform the show they never had the chance to do. I played Smudge in a production in 2011 that was remounted in 2012, so I am especially excited to return to this one! 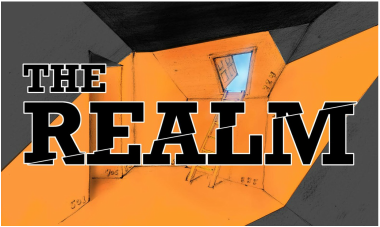 I will be understudying the role of James in TOTC's production of THE REALM by Sarah Myers. In an underground future not so far from now, teenagers Kansas and James try to escape a terrifying (new?) world order. The regime known as The Realm controls not only water and other natural resources--but even the very ability of its citizens to remember words themselves. As Kansas and James fight for the right to speak, choose, and desire, their journey overlaps with that of a mysterious woman who refuses to submit to The Realm despite the high price she pays for her resistance. More info & tickets here! Update: I will be performing the role 4/30, 5/1 and 5/7! Algonquin College in Ottowa, ON is producing the first pay I ever wrote! I'll be flying up to chat playwrighting with them and see the show opening night and I could not be more excited. "a wonderful modern-day riff on Love Letters"
"powerfully true and capable of effecting change"
Two plays are performed in rep - featuring one gay and one lesbian couple - with a new cast every night in this Valentine's Day production from The Other Theatre Co. Some names involved? Madrid St. Angelo, Mark David Kaplan, Alex Weisman, Janet Ulrich Brooks, Sarah Charipar and more...I'll be performing with Jake Szczpeniak on 2/22. More information here. 1. I played the role of Hansel in the workshop production of Down the Moonlit Path with Nothing Without a Company. 2. I founded Random Acts, and our inaugural production of All Our Twilight ran through March at Gorilla Tango. 3. I returned for a second tour of The Giver with Greatworks Theatre Company, playing the (dream) role of Jonas. 4. I took my shirt off in Bent with The Other Theatre Company, and only one person left the theatre. 5. I participated in my first ever workshop production as a playwright - The Hole with The Other Theatre Co.
6. I swore a lot in Monkeys, a Chicago premiere from Random Acts - performed inside a real coffee shop. 7. I wrote and directed Ladies Night of the Living Dead which became one of the top-sellers of the Chicago Fringe Festival and transferred to the Pendulum Space, extending for four extra weeks. 8. I collaborated with Emily Schmidt on Barney the Elf, which almost sold out its entire run and will return for Christmas 2016 from TOTC. 9. I joined a touring forum theatre group of young artists presenting depictions of bullying, marginalization & being a bystander and presented an acting workshop to the students at Wheaton North High School. 10. I oversaw the publication of thirty new titles and the licensing of six productions across the country for Chicago Dramaworks. Thank you for a wonderful 2015. Here's to an equally great 2016! The Other Theatre Company is presenting the world premiere of my new musical, Barney the Elf! The play, a parody of the film Elf with a queer twist and a bunch of repurposed pop songs, has been an incredible amount of fun to put together. I was thrilled to collaborate once again with Emily Schmidt (All Our Twilight) who provided almost all of the good lyrics. Yando Lopez and Chicago drag queen sensation Dixie Lynn Cartwright lead the cast. Directed by Carin Silkaitis, with choreography by the incomparable Tommy Rivera- Vega. More information here. "Rather endearing [with] surprising emotional payoffs...Renaud and his collaborators may well have a fringe holiday repeat hit to call home for the holidays." After an enormously successful run at the Chicago Fringe Festival, Ladies Night of the Living Dead will return this October at The Pendulum Space! We are also welcoming new stage manager Sara Sopko, and production stage manager/sound designer Ashley Pettit. ​SEATING IS LIMITED - so grab your tickets now! Random Acts is fringing out! 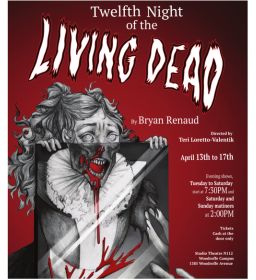 We will be presenting the world premiere of my newest play, Ladies Night of the Living Dead - a companion piece to my play Twelfth Night of the Living Dead which premiered in Chicago in 2013. Ladies Night follows the events of a bachelorette party...think Bridesmaids with zombies. Update #1: WE'RE SOLD OUT! Our first weekend was at 105% capacity! Update #2: THREE GLOWING REVIEWS! We're Reader-recommended and also earned praise from The Hawk Chicago and NewCity Stage. Update #3: WE'LL BE BACK. 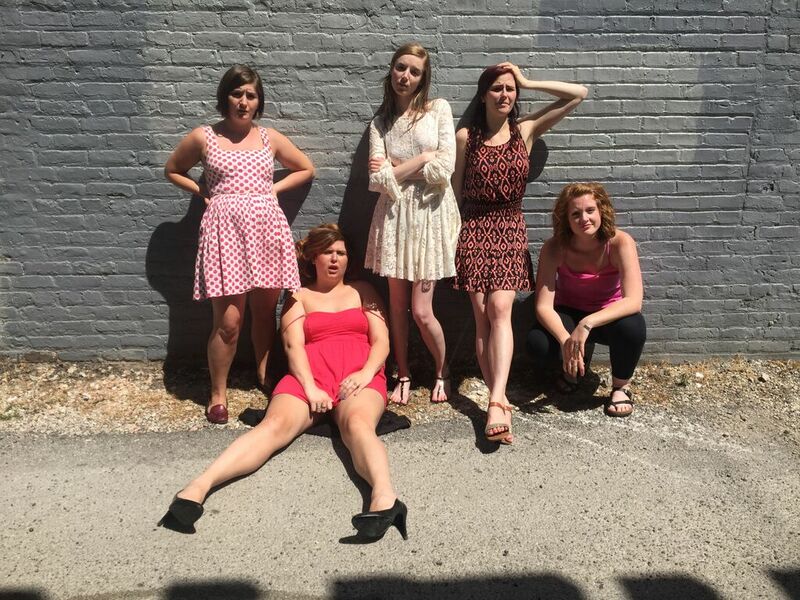 Random Acts will remount the surprise sell-out hit of the Chicago Fringe Festival from Oct. 9 - 30 at The Pendulum Space! I will be assistant directing Martin Sherman's Bent for The Other Theatre Co.! The production will feature two-time Jeff Award winner Alex Weisman (who I am also understudying) and will be directed by Jeff Nominee Keira Fromm. More information is available over on TOTC's website. Update: I will be performing the role of Horst on 7/9! Update #2: The performance on 7/9 has sold out! Holy cow! I'm jumping back into the black and white world of baby killers! 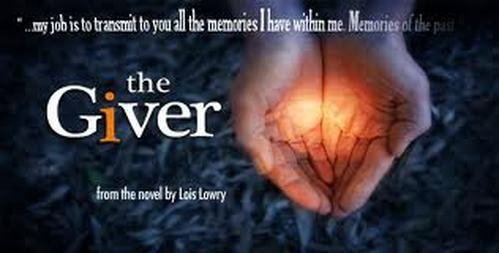 I'll once again be playing Jonas in Greatworks' production of The Giver which tours all around Chicagoland. Keep your eyes peeled for a performance near you! This March, Random Acts and Gorilla Tango will be co-presenting the world premiere of ALL OUR TWILIGHT by Emily Schmidt and myself! We are so excited about this show and I'm thrilled to direct again. In celebration of the tenth anniversary of Twilight, power couple Edward and Bella are reborn on stage in this four-part musical extravaganza filled with blood, lust and shirtless wolf men. Check out Random Acts' website for more information! I am so excited to join the cast of Nothing Without a Company's world premiere, which will have a workshop this January with a full production following in April. I will post more details as I have them, but feel free to check out the NWaC website! 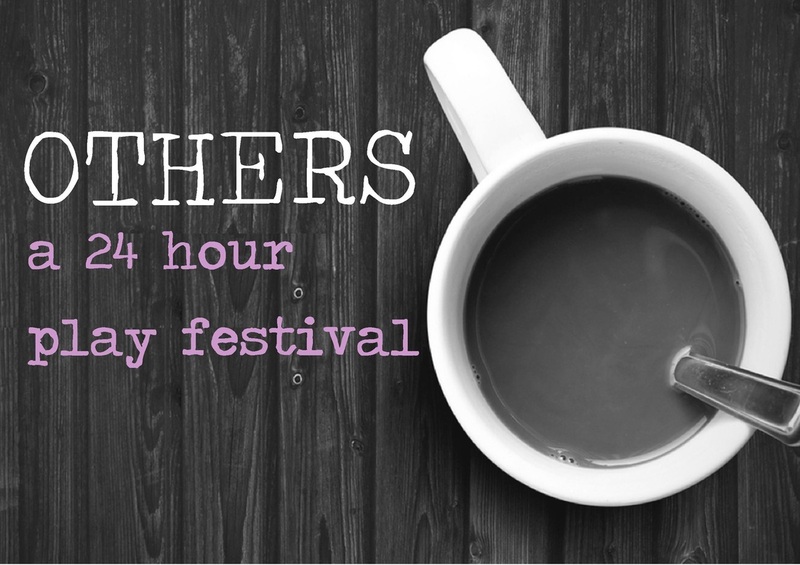 The Other Theatre Co. is presenting an evening of brand new plays, rehearsed and performed in only 24 hours! I have written one that I am really excited about (starring TOTC Collective members Maddie DePorter and Yando Lopez) and also will be performing in a brilliant scene by Michael Yichao. Check out the TOTC website for more info. My first full-length play, Twelfth Night of the Living Dead is now available for purchase and licensing from Chicago Dramaworks! Grab a copy of the script just in time for Halloween. Check out this trailer for the production of the play going up in Shallotte, North Carolina this month! I am thrilled to perform in two readings for this series, in both Creative Nonfiction and The Girl Who Would Be King. Please check out PFP's website for more info! I am performing in The Door Game by Raphael Schwartzman, directed by Sonita Surrat! It's an exciting piece and I am sure the other plays in the festival are just as excellent. From what I've heard, we'll be performing during the second week of the festival, September 8-10. Check out Prologue Theatre's website for the most up-to-date info! I have joined the cast of Nic Wehrwein's brand new play! We will be presenting a staged reading at the Cornservatory Theater on July 28th, 2014. It's being presented by a brand new theatre company called Coffee & Whiskey...which, coincidentally, are two of my favorite things. More information coming soon! I am so excited to join this touring theatre company's production of one of my favorite books, playing JONAS! We will be touring to local schools starting in March, and I couldn't be more thrilled to be working with such a respected and wonderful company. I am very excited to be playing the small role of the GROCERY BOY in Pride Films and Play's production of this classic drama. More information over at the Jeff Award winning theatre company's website. Update: We are Jeff Recommended! Based on the best selling books by Truman Capote, these stories center on the author’s early years growing up in Monroeville, Alabama. Adapted and Directed by Timothy Gregory. I am so excited to be understudying Buddy in Provision Theater's production! More information over at their website. This November, my good friend Tina Naponelli will be directing the world premiere of my new one act play, The Way We Are. It will be presented during an evening of One Acts at North Central College. More information coming soon! Gorilla Tango is producing another production of my play! I am extremely excited to get it cast and go back into the world I created this summer. Tickets are already on sale, so hop on over to www.gorillatango.com to get them while you still can! Meet the Cast! I just found out the most wonderful news! columbinus (a production for which I understudied) has been nominated for FIVE 2013 Equity Jeff Awards for Best Production, Best Ensemble, Best Director, Lighting Design and Sound Design. A huge congratulations to the people I was so lucky to work with that brought this show to life! Additional congratulations to my friends who worked on Good People, Julius Caesar, The Jungle Book and my many other friends nominated for their individual work. Today is a great day to be a Chicago actor! I am lucky enough to star alongside Jessica Kingsdale in HIlliard and Boresi's brand new work, Der Further's Face. The rest of the cast includes Sophie Grimm, Matt Keffer, Christopher Logan, Jason Smith, Dana Tretta, and Sawyer Smith and was directed by Scott Weinstein with musical direction by Kory Danielson. My first full-length play is being presented by the stellar little company called Shakespeare on Clark in Batavia, IL! I could not be more excited to share the show with an audience - it is about a small company in Chicago attempting to perform Shakespeare's Twelfth Night will simultaneously being overrun by zombies. It's a little bloody, a little silly and VERY profane! More information at www.ShakespeareonClark.com! 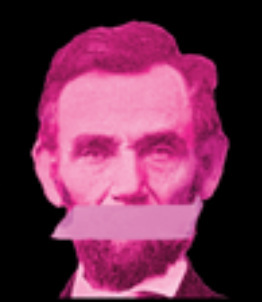 I am so excited to understudy the role of Solomon in American Theater Company's remount of Speech & Debate! The cast includes the brilliant Sadieh Rifai, Will Allan, Patrick Riley and Janet Ulrich Brooks, directed by Pj Paparelli. We are even working closely with playwright Stephen Karam to present an updated version that makes the already incredible script even better! More information is located at www.atcweb.org! The third annual Laughing for Life is being presented by Acid Reflux Comedy at North Central College in Naperville! 100% of the proceeds are donated to Relay for Life, so come out and laugh with us for a great cause! Each year we have raised over $1000, so we are extremely excited to present such an exciting event once again. More information is located at www.AcidRefluxComedy.com! I am joining American Theater Company's production of columbinus as the understudy for AP! The production, directed by co-author Pj Paparelli (who also serves as the Artistic Director at ATC) is especially exciting because it includes the world premiere of the third act, which chronicles the lives of the people of Littleton, Colorado in the thirteen years since the horrible Columbine shootings. Update #2: NOW EXTENDED through APRIL 7! Update #3: This production will be remounted in the fall in Boston! 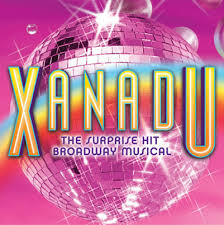 This spring, I will be co-directing Xanadu at North Central College with my great friend Heidi Buyck. The show is pure '80's cheese, and there is no way it won't be a blast! With the incredible talent we've got hidden at NCC, you definitely don't want to miss it! 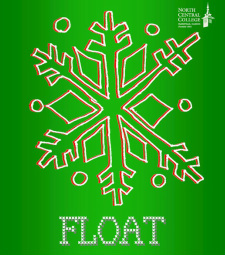 This winter, I will be directing the incredible play Float by Chicago playwright Patricia Kane. I had the incredible experience of seeing the world-premiere of the play back in 2010 and the way it made me feel has never left me. I am unbelievably overjoyed to share the play with more people this winter. Update: I have just found out that I will be working closing with playwright Patricia Kane to present a revised version of the script. Someone pinch me? Update #2: Playwright Patricia Kane and original actors Rengin Altay and Adrienne Cury will be attending the closing performance of our production and participating in a talk back with the audience, the new cast of Float and myself! Buy your tickets now while you still can! Update #3: The show enjoyed a sold-out run! For my directing debut, I am pretty proud.